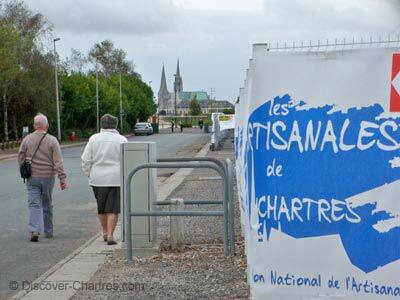 Artisanales de Chartres - also known as Salon national de l'Artisanat - or in English we would say it as Chartres Arts and Crafts Fair, is an annual national level event since 1993. Since then it become a perfect meeting place for the art workers, artisans from all over France and even foreign countries like England, to discover new markets and share their skills with visitors. It is also a good place to discover new business and commercial opportunities. 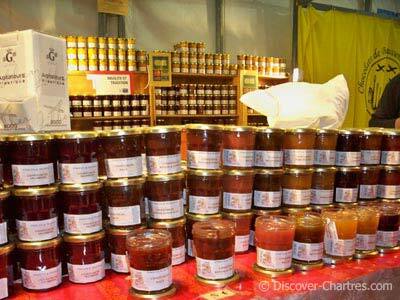 Why should you visit Artisanales de Chartres? If you love shopping, you should not miss this one! You will discover various arts and craft works, learn how-to things about artworks, local gastronomy and perhaps, if you have a suitable business, you could pick up an opportunity here. At first, I didn't really pay attention to this event - until one day, I received two invitation tickets on my mailbox. No idea who was so kind to slip the invitations to me... and they were free! Of course I would not miss this opportunity! I called my best friend and ask her to come with me to the event. 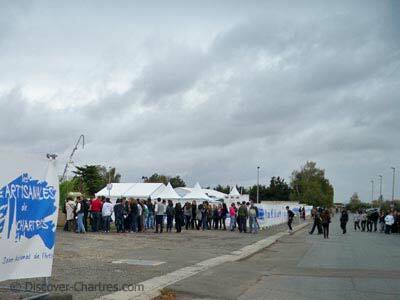 It was our first time to discover Chartres Arts and Crafts fair. 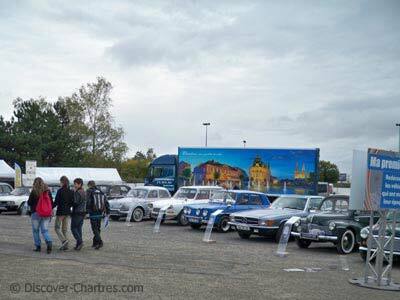 As usual, the event take place at Chartrexpo. 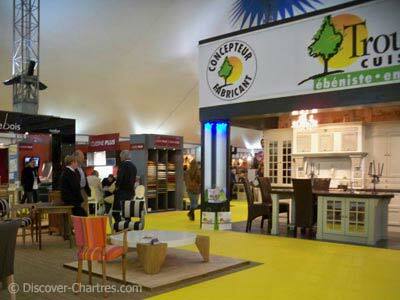 This time, there were more than 500 exhibitors participated in the event. They represented 150 jobs diversities. First we visited Deco et Mode marquee. 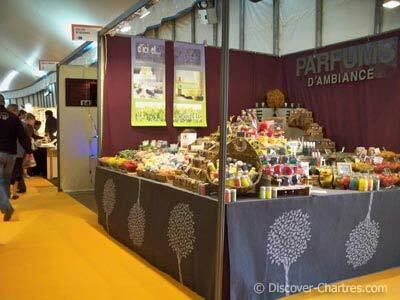 As you can imagine, there are numbers of stand expositions that present decoration and fashion. Deco includes home decoration and furniture, handicraft, stained glass works. While in fashion include women and kids fashion, jewellery, leather goods, perfumes and many more. Many of them are home made products. The next is Côté Saveur marquee. This is our favorite as we are both food lovers moms. The tasty smell... really couldn't wait too long to enter! 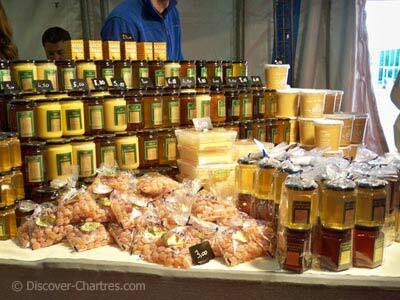 Inside there were many food diversities like cheese, jams, home made conserved food, honey and of course... chocolate!! 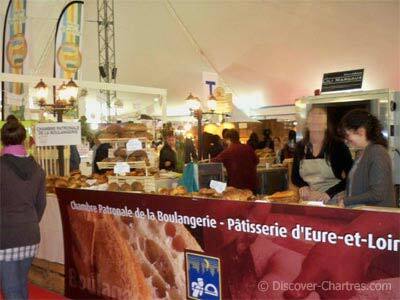 Also you can discover Chartres and Eure et Loir specialty gastronomy such as macarons, limonade and cola of Beauce, bakeries and many other local food. Excellent and tasty souvenir for family! 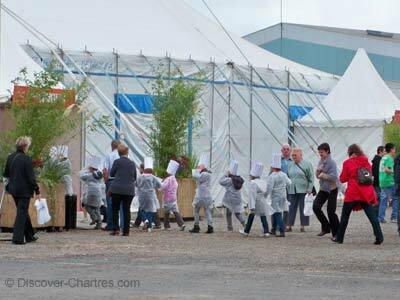 Visitors can participate on some activities during this event like cooking course on separated marquee. A cooking chef of local hotel share his cooking tips on cooking demos. There are two other marquees - in building construction sector and automobile. 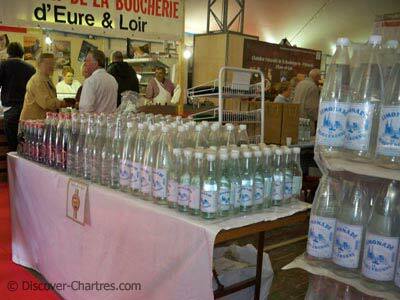 To end our discovery that day, we re-visited the gastronomy stands to buy some specialty foods for our kids. Just regret that we couldn't buy some more. Our hands were so occupied, one hand with a camera and another with a handbag. Already think about coming back again next year with a large shopping cart in hand.